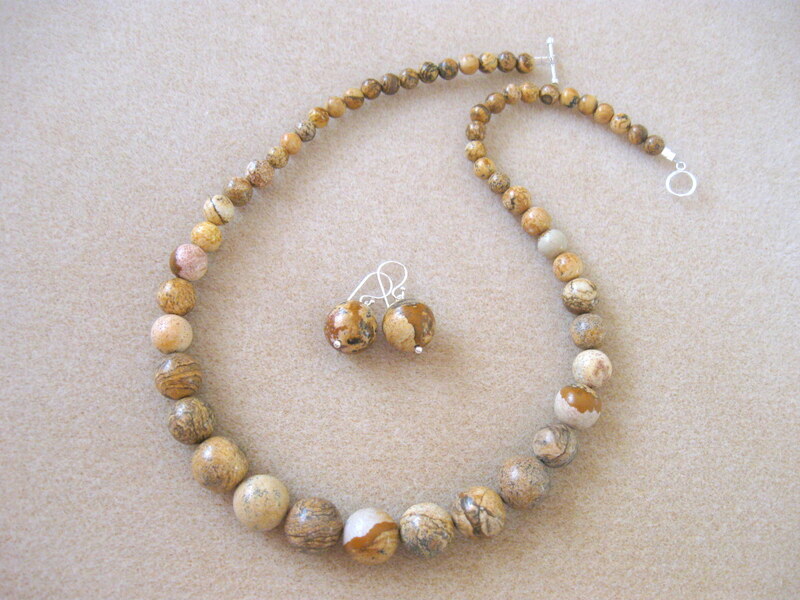 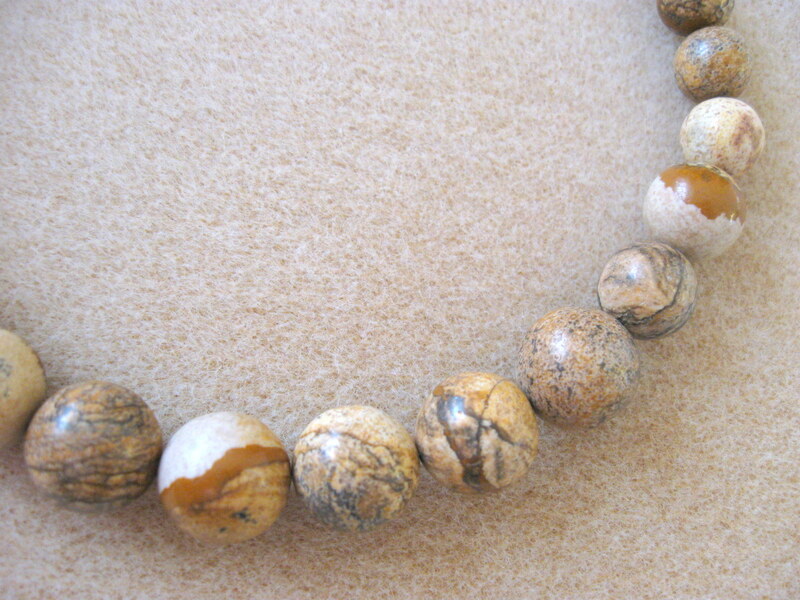 Jewelry set made of 6 to 16mm picture jasper spheres and 925 sterling silver. 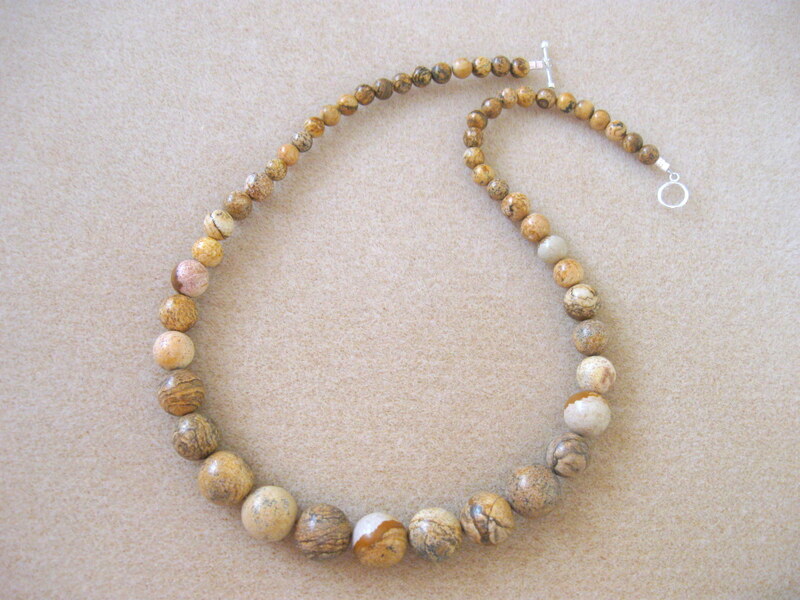 Categories: "Monocrom", Jasp, Seturi colier - cercei. Tags: beige, brown, earrings, jasper, monochrome, necklace, picture, set.